FACT: Over 40 % of the Green card lottery participants drop out in the FIRST round as a result of incorrectly completed or undelivered applications. Do not become one of them. * Visa form completion is done by appointment only. Completion of ID document applications – information, preparing, applications, etc. Preparation of all documents for EDUCATION, EMPLOYMENT and MARRIAGE abroad. Scrypta Ltd. is an officially authorized representative for the issuance of the European Health Insurance Card (EHIC). 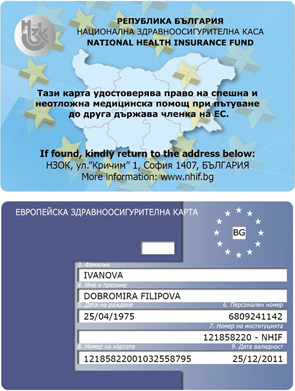 On 28.01.2013 was the start of the reinstated issuance of the European Health Insurance Card. The card is the only document, which ensures emergency medical attention on the territory of the respective European country. The company provides assistance for the completion of required documentation.